Home / Computers/technology / Gadgets / Video: A User Has An In-game Seizure, While Other Users Cannot Do Anything! There was literally nothing the other users could do. And now, with virtual reality devices becoming more widely accessible, users can see other users suffer from real medical emergencies in the digital world, but are not able to do anything about it. YouTuber Rogue Shadow VR claims that it happened to him and other users in the virtual reality social app VRChat this week. 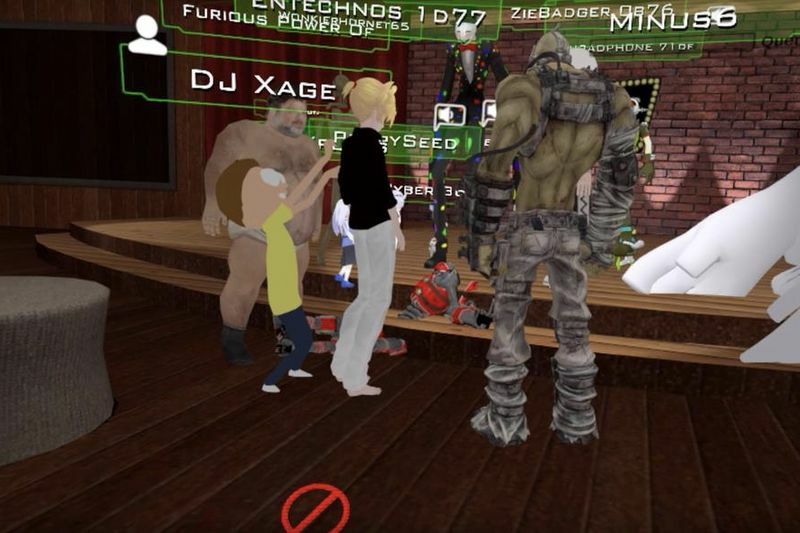 As Rogue explains in his video, he and other VRChat users were goofing around in one of the app's virtual environments when suddenly one of the avatars in the room, a black and red robot, fell to the floor and began twitching. At first, it is unclear if it was just a bug or someone messing around, which is what VRChat users like to do. After a while, it becomes clear that something is off. The user does not respond to questions from other users, continues flailing and you can hear him struggling to breathe. Rogue said, in the video, that he walked to the user after the incident used some kind of full-body tracking tech, which is why you can see their avatar lying on the floor. "There was nothing we could do," Rogue said in his video. "We didn't even know what part of the planet this person lived on, and all we could do was just observe." VRChat is an interesting place, yet a shithole. Users go here to harass one another and scream about incoherent, often racist memes. Its entirely possible that Rogue's video was staged, or that the person having the seizure was trying to prank the other users. But overall the users in the room responded compassionately. A handful of users thought it was funny and kept on messing around on the VRChat, but the majority seemed genuinely concerned for this person's well-being. According to Rogue, the person who suffered the seizure told him it was a tonic-clonic seizure, which causes convulsions and loss of consciousness, but it's not clear what caused it. If you have this condition, which is known as photosensitive epilepsy, stepping into VRChat with an Oculus Rift on seems like a risk. Be safe out there virtual reality-users! Recreating Video Games In 2 Minutes With Ai! Video: Most Incredible 3d Art That Will Blow Your Mind! Video: Introducing The Insta360 One! Video: Transformers Are Real, Meet The Megabots! The Iographer Smartphone Video Mount Is Everything You Want! Video: Affordable Diy Virtual Reality Backpack!